Zaza has produced a limited edition print of a white rhino in order to support fundraising for Save the Rhino. £12.50 of every framed print, and £7.50 of every mount-only print goes directly to Save the Rhino. 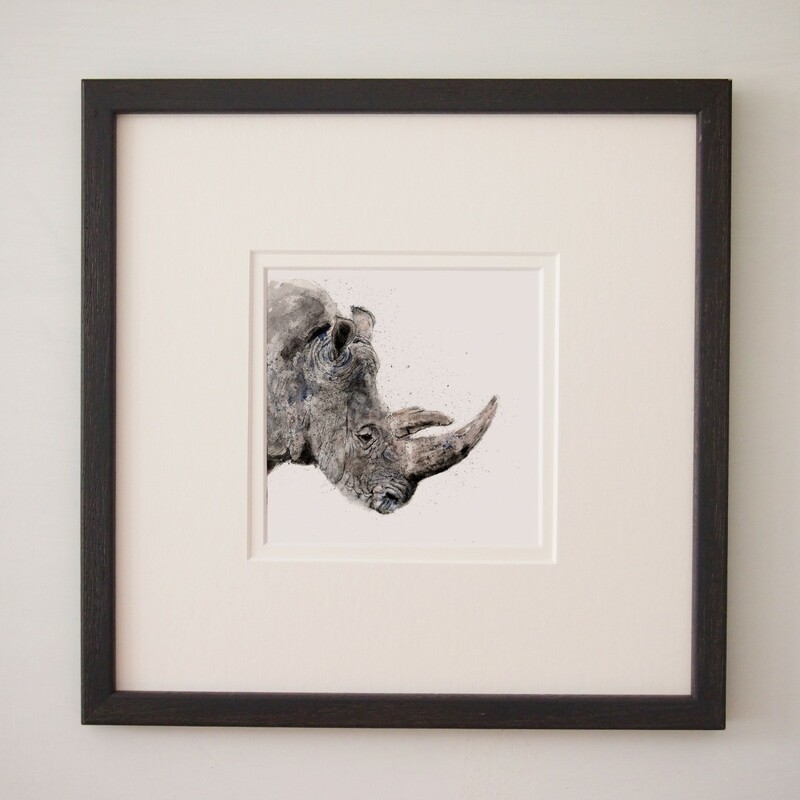 Zaza's rhinos are available as framed pieces or as mount only and with a variety of packaging options; please use the option buttons when you make your purchase to make your selection.